The twist out is the most popular style amongst Afro naturals. Once you perfect your twist out it is also one of the most easiest styles to create and maintain. 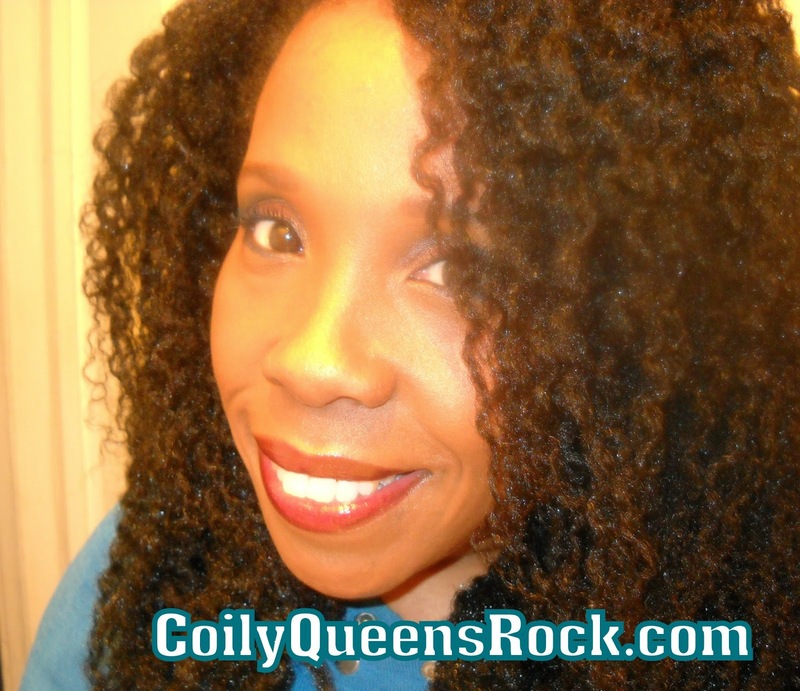 The Coily Queens regimen has a conditioner pyramid it recommends for styling. This conditioner pyramid allows your twist outs to remain hydrated and defined, yet still have awesome elongation.. The conditioner pyramid helps you keep shrinkage to a minimum. Following the conditioner pyramid enables you to have good coil definition while still showing off your hair length. DO NOT FOLLOW THIS IF YOU ARE DEALING WITH VERY DRY HAIR AND LOTS OF KNOTS AND TANGLES. CORRECT YOUR DRY HAIR ISSUE FIRST, THEN REVISIT THIS STYLE METHOD. FOR HELP WITH YOUR DRY HAIR SEE THE DRY HAIR CHECKLIST, TO GET YOUR HAIR ON THE RIGHT TRACK. Set your two strand twists with a thick creamy leave in conditioner or curl cream. It must be a cream product. When you re-twist at night use a hair milk or lotion conditioner. Follow with a natural oil. Doing the flat twist method is suggested for even better stretch. Set your twists with a non water based conditioner, followed by a natural oil. Time for Coily Queens to wash their hair. But if you choose not to, then continue to set your twist out with the non water based conditioner, followed by a natural oil. Repeat until wash day. When you set your hair at night only use a natural oil such as avocado or EVOO. You will apply a little natural oil everyday as per the Coily Queens Regimen. You apply a non water based product to your hair when you set your twists. You can follow with a natural oil as usual. EACH DAY YOU WILL NOTICE MORE STRETCH TO YOUR TWIST OUTS, YET YOU ARE NOT DRYING YOUR HAIR OUT. USING DIFFERENT TYPES OF CONDITIONERS TO NOURISH AND LUBRICATE KEEPS YOUR HAIR FROM DRYING OUT. If you feel like you are in need of extra moisture then use a liquid leave in conditioner to set your twists at night. If you feel your hair is doing fine with hydration then only apply a little of the non water based conditioner followed by a natural oil. Repeat day 5 instructions, daily until you wash your hair. Whether you follow the 4 day pyramid or the 7 day pyramid both of these will give you nice elongation without sacrificing hydration or coil definition. Follow each suggestion as listed for the best results. Is 3rd day non water based products good for the 7 day conditioning pyramid on day 4? Thanks so much. Yes you just continue doing day 5 instructions until your wash day. Yes but look for another milk that is not as thick. The SM milk is still kinda heavy. I may take it off the list. The As I am leave in is more lotion consistency.